We here at Wildcat Movers are excited to announce we have been working closely with the Troy Olson Team. Troy Olson’s team relies heavily on Wildcat Movers as the last piece in the relocation puzzle. We would highly recommend them for all of your Real Estate needs. Troy Olson is one of the most recognizable real estate professionals in the DFW Metroplex. After a successful career in sales and real estate in the Western United States, Troy relocated to Texas and joined one of the largest and most successful real estate companies in Texas – CENTURY 21 Judge Fite Company, The Official Real Estate Company of the Dallas Cowboys. He’s focused his real estate practice on the growing Dallas/Fort Worth Metroplex and during this time, he’s helped his many clients buy, sell and lease their dream homes as a Frisco Realtor. Troy’s dedication to his clients is second to none and they routinely refer him to their friends and family – a testament to their satisfaction. 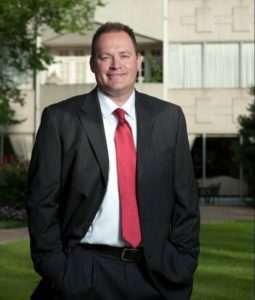 Troy is a consistent multi-year award-winning top producer at Century 21 including CENTURION, President’s Producer, Masters, and Quality Service Producer. The Troy Olson Team is based in Frisco, Texas and is happy to serve clients all over the Dallas Fort Worth. Including Plano, Addison, Allen, Frisco, McKinney, Prosper, Celina, and Little Elm to name a few.